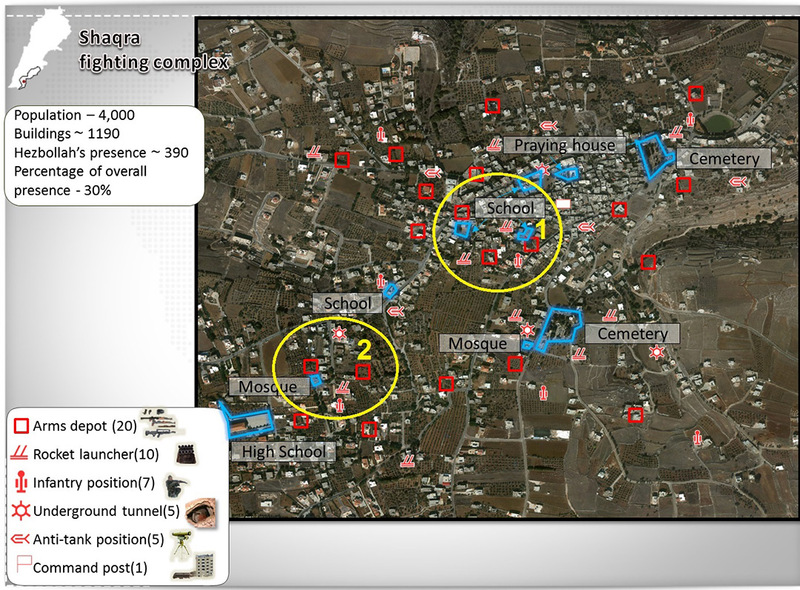 Israel's UN Ambassador, Danny Danon to the UN Security Council: "We Demand the Removal of Hezbollah Terrorists from Southern Lebanon"
Aerial Photographs of the Village of Shaqra Reveal Hezbollah Positions Adjacent to Schools. The United Nations Security Council held a special meeting recently on the Situation in the Middle East and discussed the conditions in Lebanon ten years after Resolution 1701 ended the war between Israel and Hezbollah. 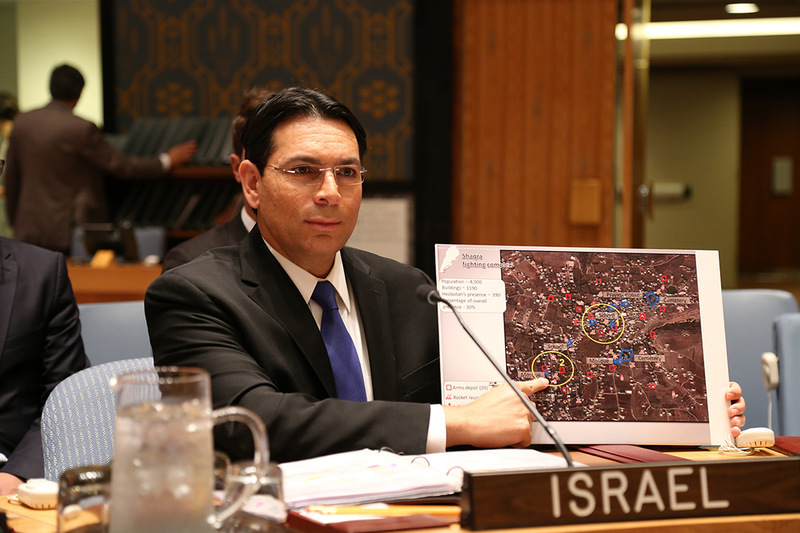 In his address to the Council, Israel's Ambassador to the UN Danny Danon presented new intelligence including aerial photographs of a village that has been transformed into a terrorist stronghold, and statistics about Hezbollah weapons stockpiles. "The village of Shaqra has been turned into a Hezbollah stronghold with one out of three buildings used for terror activities including rocket launchers and arms depots," Ambassador Danon told the Security Council. "Hezbollah has placed these positions next to schools and other public institutions putting innocent civilians in great danger. We demand the removal of Hezbollah terrorists from southern Lebanon," Danon continued. During the Security Council meeting, Ambassador Danon presented statistics showing that Hezbollah now has more missiles below ground in Lebanon then the European NATO allies have above ground. Danon also explained that when Resolution 1701 was adopted Hezbollah was in possession of 7,000 rockets and today the terrorist organization has over 120,000 missiles aimed at Israeli population centers. In addition to its deliberations about the situation in Lebanon, the Security Council also discussed the Israeli-Palestinian conflict and the Quartet report published earlier this month. In his remarks, Ambassador Danon stressed the direct connection between the hateful words of incitement emanating from the Palestinian Authority, and the murderous terror attacks over the past weeks in Israel. "Hallel Ariel was stabbed to death while sleeping in her own bed," said Ambassador Danon. "This murderous act of the Palestinian terrorism was the direct result of years of hateful indoctrination in schools, on television, and now by social media," the Ambassador concluded.